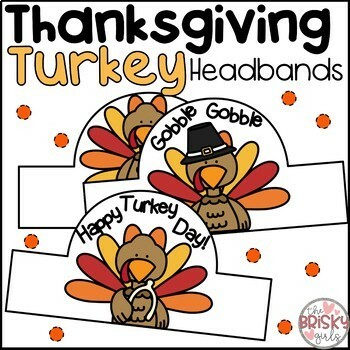 Turkey Headbands for Thanksgiving! These three adorable headbands are super easy and super fun! Just print, color, cut, and tape! Headbands come in both Color and B/W!